Featuring down-to-earth advice on finding, buying, growing, and preparing great food from local sources, this important resource shows readers how to bring what’s on their plates in line with what’s in their hearts. For anyone concerned about animal welfare, economic fair play, family cohesion, community wellbeing, or the impact of human activity on the environment, the book is a compendium of practical know-how, showcasing another whole food system that has been quietly producing delicious foods in ways that don't wreck any ecosystems but actually improve some of them. These are the foods lovingly produced by small-scale farmers and family-run cottage businesses, not corporations. They’re made in small quantities close to the community by people who cherish their land and work hard to keep it healthy. Millions more Americans would love to eat this bounty, but many worry that eating fresh, local food is too difficult or expensive. Here, readers will discover how to: buy a tomato that actually tastes like a tomato instead of insipid mush; navigate CSAs, farmer’s markets, buyer’s clubs, co-ops, and more; fit cooking into a jam-packed modern lifestyle; get kids to eat their vegetables—and love them; and do it all for even less than they’re paying now for industrial food. The results will help them derive more pleasure from meals, enjoy better health, experience a deeper connection with nature, nurture a robust local economy, and support a fairer world—simply by sitting down to a deliberately chosen, lovingly prepared meal. 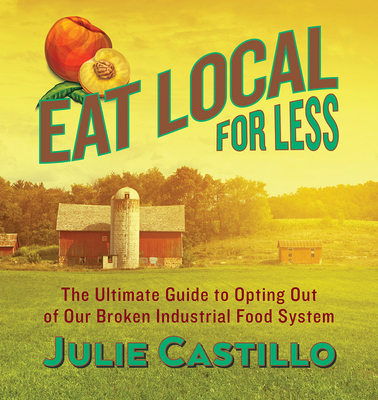 Julie Castillo is a college anthropology instructor, children s enrichment instructor, writing instructor, enrichment curriculum designer, entrepreneur, writer, and futurist. She has been the cowriter or ghostwriter of two novels and 13 nonfiction books, including two New York Times bestsellers. She lives in Frederick, Maryland."